Moving a pool table is a delicate process. Doing it on your own can cause damage to this expensive piece of furniture. That is why our professional long distance movers Fort Worth, don’t leave anything to chance. Our movers are here to help you transport this delicate item without difficulty. Moving a pool table requires skill, experience, and specific tools our pool table movers Fort Worth have. If you are not sure, you can relocate this valuable item like a pool table to your new home, consider hiring our moving professionals. Evolution Moving professionals will do everything to make sure you relocate with ease. Reasons for hiring our professional pool table movers Fort Worth? As we said before, moving a pool table can be quite complicated. Every moving professional will advise not to move a pool table in one piece. Most of the people without experience that wish to save money on their relocation believe that moving a pool table in one piece is something you should consider. However, pool table movers Fort Worth will explain to each customer why moving a pool table in one piece is not a good idea. Pool tables need to be disassembled before you can move them. Specific pieces that fit together perfectly and are ideally balanced may damage if you move them in one piece. That is why hiring our professional pool table movers Fort Worth is the best option. Our company moving professionals have experience and the proper equipment to handle a heavy and bulky piece without harming the balance of your expensive pool table. We use specialized moving equipment to move any piece no matter how big or bulky. Consider that you may need someone strong helping you when moving a pool table without professional assistance. Usually, it takes up to six people to lift a pool table in one piece. That means that you may ask friends to help you to complete this task. As moving tables are heavy and bulky, moving this piece without professional mover’s assistance can lead to various injuries. With our professional moving specialists, you will avoid injuries while moving any heavy and bulky items to your new home. Evolution moving professionals have a license and insurance. We use specialized moving equipment to move any piece no matter how big or bulky. Moving a pool table is a complicated process. It requires precision, skill, and various tolls our pool table movers Fort Worth already have. Our moving professionals follow all the necessary steps to take apart your pool table the right way. In some cases, people will find an explanation online and try to do this complicated task by themselves. 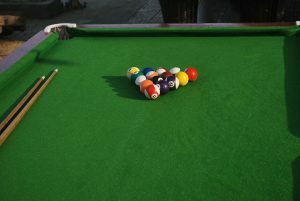 Keep in mind that even with the best guide you may end up damaging your pool table in the end. 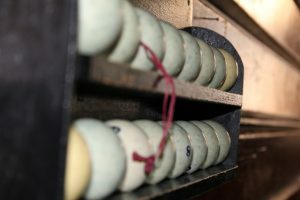 The pool table repairs can get quite costly. Any damage can render this sensitive item useless before you hire a professional to repair it. In the end, hiring a professional pool table movers Fort Worth may be less expensive than covering the pool table repairs. When you receive our estimate, our professionals will break down and explain the costs of any individual service that you may need. Evolution moving company will provide the official moving quote for moving your pool table to any new location, local or long distance. Our representative will discuss the details of your move and find out more about all of the specifics of your relocation. After that, we will provide an accurate estimate of moving your pool table. When you receive our estimate, our professionals will break down and explain the costs of any individual service that you may need. Contact us today and find out why we are the best pool table moving company in the area. Packing a pool table also requires skill and experience. Evolution Moving company provides the professionals packing supplies to all of our clients. We offer the best professional packing services Fort Worth TX when it comes to your pool table and other belongings in your home you wish to transport. Our experienced pool table movers Fort Worth will move your pool table in stages. This way we make sure that each pool table piece stays intact while it reaches your new home. Our representative will discuss the details of your move and find out more about all of the specifics of your relocation. How do we move a pool table? The first step – Our mover’s first step is to make sure we have enough room to take apart your pool table without difficulty. Carefully we examine the type of pool table and start the disassembling process. Because this part is quite delicate, it may take some time. However, Evolution Moving experienced professionals will disassemble your pool table efficiently using the proper tools and equipment. The second step – After we carefully take apart each piece, we will secure the most sensitive parts first. We use quality packing materials to pack each individual It is important that all the parts of your pool table stay intact while in transport. After we pack each piece, we use special moving equipment to load everything onto the moving truck. Our relocation specialists will make sure your pool table arrives at your new home without any delays. The third step – After our moving professionals arrive at your new location, they will ask you about the best position for your pool table. When you provide us with detailed instructions, we will unload and unpack each piece of your pool table. 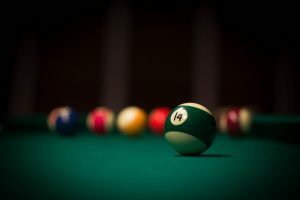 The fourth step – The final step requires that we reassemble your pool table exactly where you want it. When we make sure that each piece fits perfectly and there is no damage, we will bring your pool table to what it was before. In the end, we make sure to take all the measurements. We re-level your pool table in place and make sure it’s perfect so you can use it as soon as we leave.